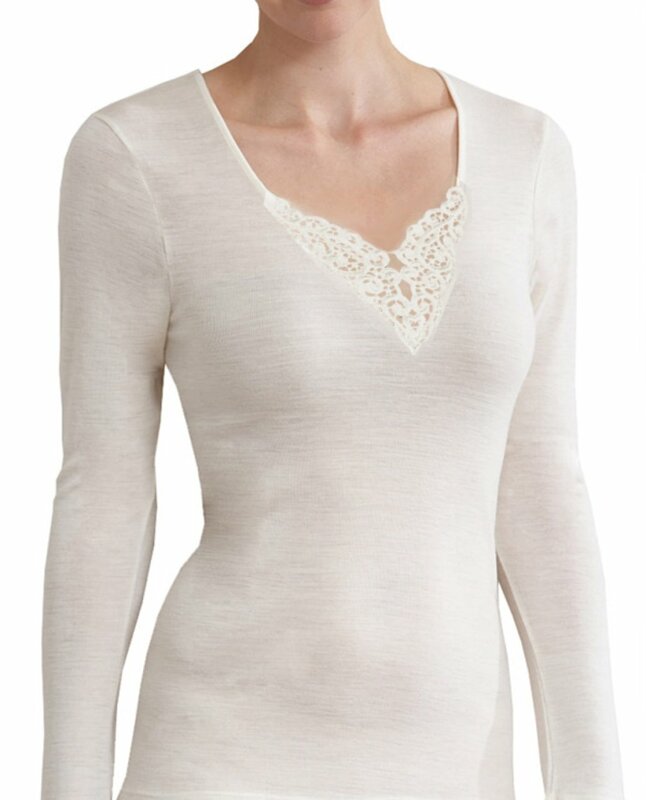 Superbly warm Merino wool long sleeve thermal top. Side seam free, trimmed with luxurious Guippure motif. Pure Merino wool 1x1 rib 200gsm. Neck is finished with narrow bind. Plain hems. Also available in Black.